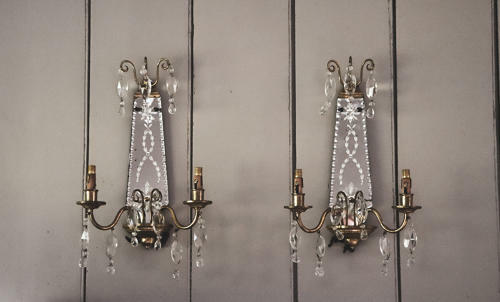 Pair of pretty mid century Venetian wall sconces with mirrored etched glass. Some foxing to the mirror plates. I have shown these to an electrician and they should be fine to be put up as is, obviously with electrician installation.